• Control individual outlets or outlet banks. • Monitor your devices and power status. • Receive email alerts for power events. • Schedule tasks such as power on, off, cycling, and sequencing. • Manage multiple devices in your chain of devices. • Utilize device-specific features for your compatible product. • COMMUNICATION PORTS : RS-232 with DSUB 9 Male connector. Pins 2 (RXD), 3 (TXD) and 5 (COM) are used for communication, pins 1 (GND) and 9 (+12V) are used for power. 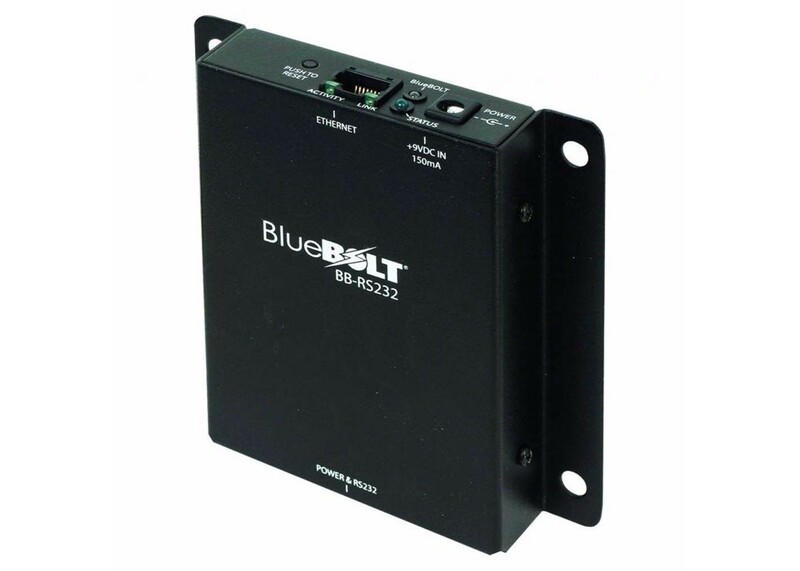 100BaseT Ethernet Communication with BlueBOLT service or a control system on the Local Area Network. • INDICATORS : For BlueBOLT connected, Status, Ethernet Link Status, and Data Activity. • RESET BUTTON : Short press of Reset causes adaptor to reset the device. Holding down Reset for >10 seconds causes adaptor to revert to its default setting. • POWER : Powered through non-communication signal wires of supplied 9-conductor cable (for RS232 port) or with included wide-range AC/DC switched-mode wall adaptor. • MOUNTING : Capable of being mounted to the rear equipment rack rail via its flange holes and supplied rack screws or on side of the equipment rack via the flange holes and zip-ties (not supplied).